All of The Nut Shop's Macadamias come from our own farm in Dunoon, Northern NSW. 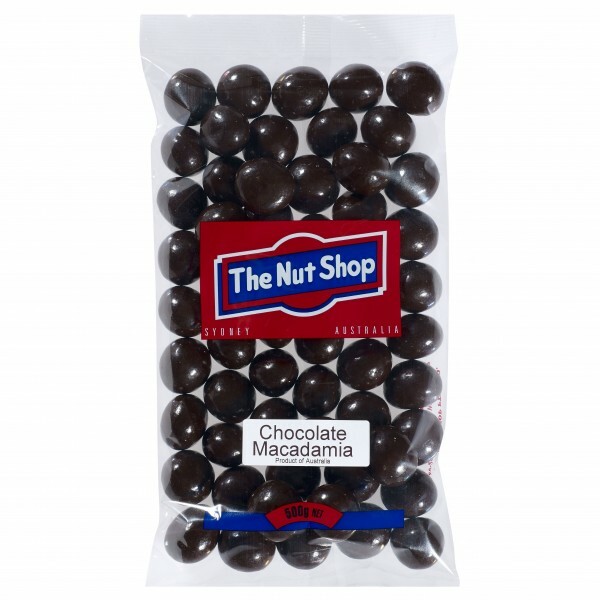 These Macadamias are coated in pure dark chocolate (Cocoa Solids 73%). Product of Australia.